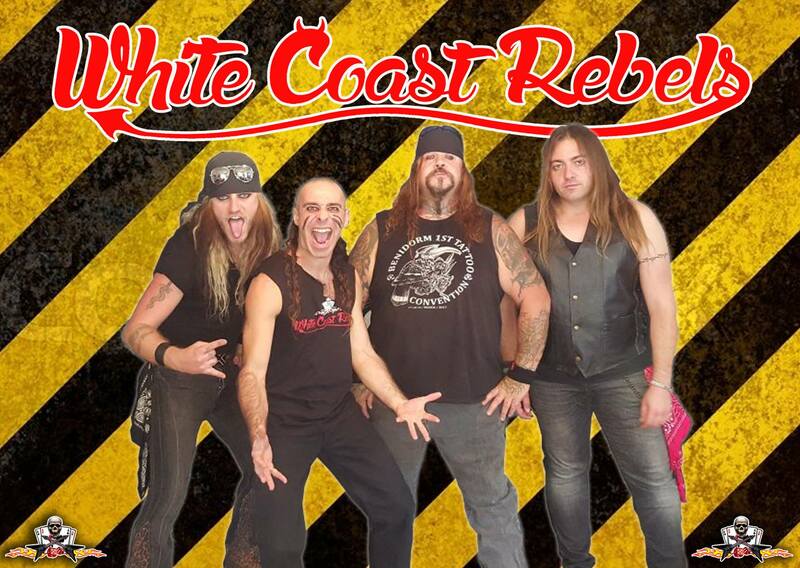 One Chapter of the WHITE COAST REBELS story closes and another one begins. We would like to thank Rob E Wolf & Stefan Bylund for their commitment, outstanding musicianship & Friendship over the last few years, but due to family commitments they're no longer able to continue as part of the band. They are however going to be playing roles in the band helping out on production etc, we wish them all the luck in the world and they will be missed. 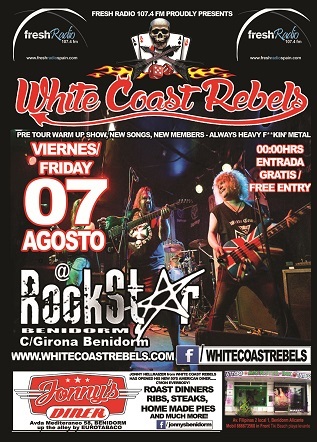 WHITE COAST REBELS carries on tho with an exciting new line up (members to be revealed shortly) who will be debuted at the RUEDAS DEL METAL FESTIVAL in Barcelona on 31st July and then a home town premier at the ROCKSTAR, Benidorm on 7th August! will be playing the RUEDAS DEL METAL FESTIVAL in Barcelona on 31st July and then THE ROCKSTAR, BENIDORM on 7th August. The DEBUT album "Hangin' with the Bad Boys!" release date 6th July 2013!